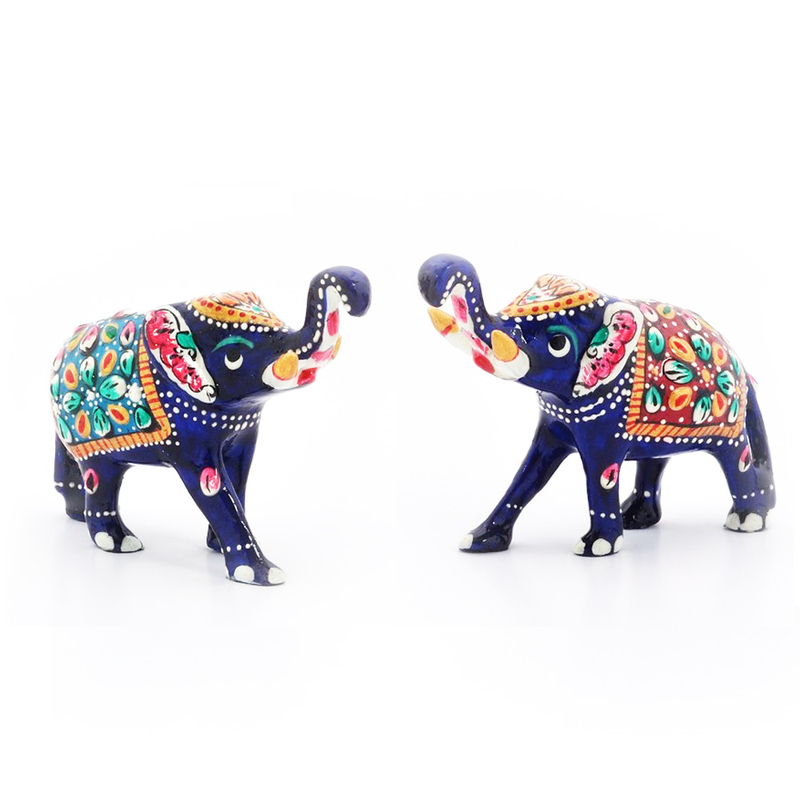 The pair of elephants made up of meenakari metal are just the appropriate show pieces to decorate a living area. The elephants are clearly the Read More..ones which reflects great valour, ambition and signs of victory. The colorful and bright colors used in the meenakari work helps to make these pretty elephants look all the more merrier. these elephants are 100% handmade . Show Less..